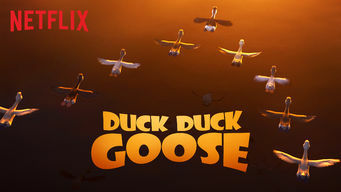 How to watch Duck Duck Goose (2018) on Netflix Canada! Yes, Duck Duck Goose is now available on Canadian Netflix. It arrived for online streaming on July 20, 2018. We'll keep checking Netflix Canada for Duck Duck Goose, and this page will be updated with any changes. As his flock's annual migration nears, a carefree goose is grounded with an injury and takes a pair of lost ducklings under his wing. He was the least likely goose to become a family man. Until fate waddled in -- with two ducklings who'd lost their way.